The newly released transcript of a sealed hearing held earlier this week reveals for the first time that former Trump campaign chair Paul Manafortcontinued working for at least one political client in Ukraine into 2018, after he had already been indicted in special counsel Robert Mueller's investigation. During the sealed hearing, which was held to discuss Manafort's alleged lies to the special counsel, Prosecutor Andrew Weissman referred to "2018 work that he did with respect to polling in Ukraine," according to the redacted transcript. Manafort was indicted by a federal grand jury in Washington, D.C. in October 2017. He and partner Rick Gates, who also worked for the Trump campaign, were charged with money laundering, bank fraud and conspiracy against the U.S.
After Manafort was convicted on federal charges in a related case in Virginia in 2018, he agreed to a plea dealwith prosecutors on the D.C. charges, pleading guilty to conspiracy and witness tampering. As part of the deal, he agreed to cooperate with Mueller's team. He was interviewed by prosecutors for 12 days and testified before a grand jury for two days. In November 2018, Mueller's office said that Manafort had lied repeatedly to prosecutors and violated the plea agreement. The transcript of the hearing released Thursday, which describes some of the alleged lies, is 143 pages long. One of the alleged misstatements to prosecutors, according to the transcript, is related to Manafort's discussions with Konstantin Kilimnik, a person identified by the FBI as being associated with Russian intelligence. According to prosecutors, the discussions occurred on Aug. 2, 2016, while Manafort was Trump campaign chair, and continued through 2018. According to prosecutors, Manafort and Kilimnik had a discussion that referenced a "backdoor." The reference to a "backdoor" comes after the discussion of Manafort's work in the Ukraine, specifically work for a potential candidate there and polls Manafort had arranged. The details of the discussion are redacted, so the transcript does not make clear who the candidate would be, what the polling was about, or what "backdoor" means. It does not say anything about the backdoor being related to the Trump campaign, Russia, or any of the hacking and interference efforts that occurred in the 2016 campaign. The transcript also shows that Manafort's attorney, Richard Westling, told the judge that Manafort was under significant strain when he decided to cooperate. 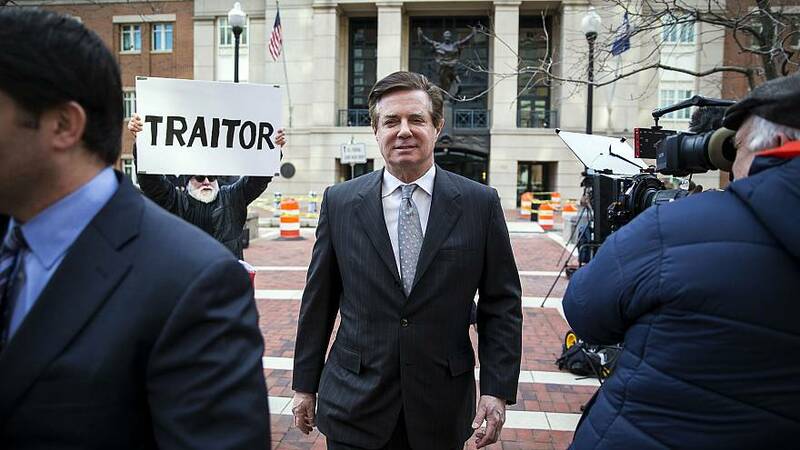 He told Judge Amy Berman Jackson, "I think the situation that we want to be sure the Court is aware of — we know that it is — is just the challenges of anyone who is, you know, facing some of the physical and emotional challenges Mr. Manafort was; the situation of his confinement, the focus, really for the last months before this, really on just the trial issues on the case, and then shifting, almost immediately, to: Let's open the world to everything you remember over the last several years, and well before that." Federal prosecutors countered by pointing out that the bulk of their questions had to do with the evidence they had already gathered and provided to Manafort prior to his trial in Virginia during the summer of 2018.